Presently there is perhaps no greater controversy in professional combat sports than Therapeutic Use Exemptions for anabolic steroids. A bright spotlight will shine on this issue again with many asking whether Vitor Belfort will receive a Therapeutic Use Exemption for TRT by the Nevada State Athletic Commission for his upcoming middleweight title fight which is rumoured to take place in Las Vegas. Below is the test Belfort needs to pass for clearance. Given that TUE’s for TRT have been handed out in the past we can safely assume the NSAC can be persuaded with respect to the first three criteria. The fourth will be the focus of controversy. In 2006 Belfort tested positive for anabolic steroids, specifically for 4-hydroxytestosterone which is a WADA prohibited substance. Belfort’s excuse for using this anabolic steroid (ingesting a supplement which, unknown to him, contained it) is irrelevant in the TUE analysis. All that matters is that it was ingested for “a non-therapeutic use” which it was by his own admission. From there evidence must focus on why Belfort has the need for TRT in the first place. To follow the letter of the law the NSAC must be presented with evidence that the cause of Belfort’s TRT needs is not even “in part” related to his previous anabolic steroid use. Given that a known consequence of anabolic steroid use includes decreased testosterone production it will be an uphill battle for the NSAC to justify a TUE in Belfort’s circumstances. 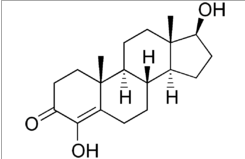 Unless a doctor can provide persuasive medical evidence explaining the cause of Belfort’s low testosterone production and further ruling out the previous 4-hydroxytestosterone use a TUE cannot be granted under WADA standards.